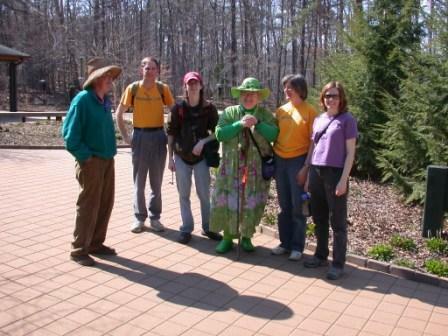 Members of the Margaret Reid Chapter made their Spring trip to Hemlock Bluffs in Cary. 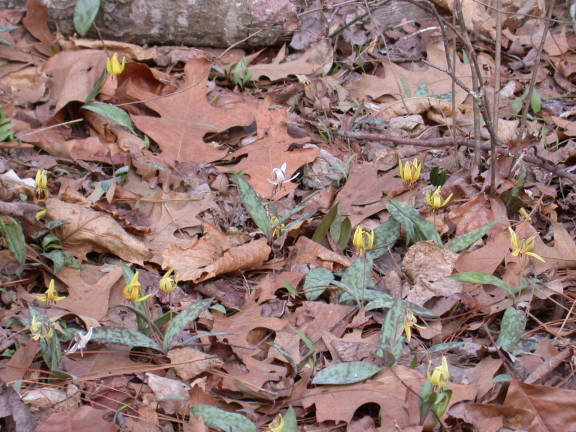 It's somehow reassuring to see thousands of Trout Lilies, Erythronium umbilicatum, carpeting the ground. Last year you might remember the white ones mixed in with the yellow ones. Well, this year it was a double flowered version. 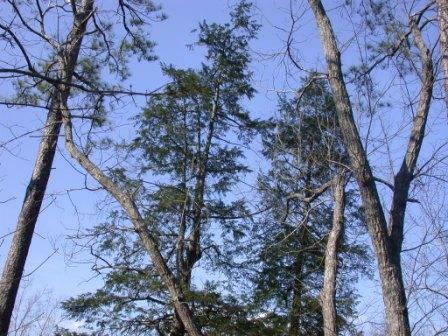 You might wonder how Hemlock Bluffs got its name down here in the Piedmont. 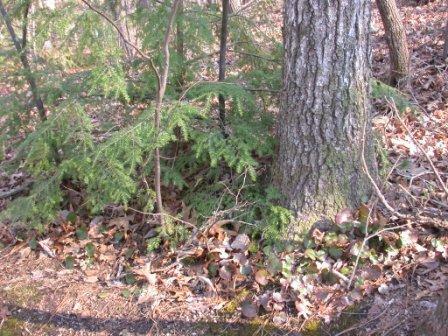 Here's a couple of the 80+ foot Tsuga caroliana that grow right against a very steep bluff. 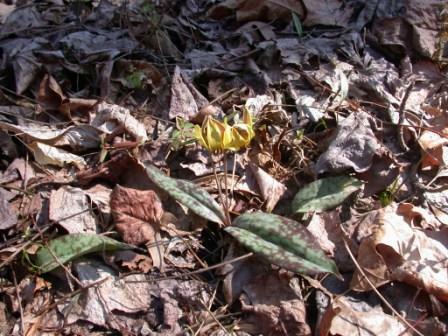 There are also some seedlings accompanying Galax aphylla, which is also not so common out of the mountains.